Tuesdays 10:30 am - 2:30 pm and Wednesdays 10:30 am - 2:30 pm. Dr. Celestine Carter is an Assistant Professor of Clinical Nursing at Louisiana State University Health Sciences Center School of Nursing. She received a Bachelor of Science in Nursing with honors from The William Carey College School of Nursing, a Master of Nursing with honors as a Clinical Nurse Specialist and a Doctorate of Nursing Sciences from Louisiana State University Health Sciences Center. Dr. Carter serves the School of Nursing as the course coordinator for the Health Assessment Theory and Laboratory RN-BSN courses and course faculty for the Nursing Management in the Health Care Systems Theory and Practicum courses. 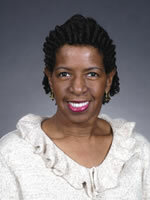 Dr. Carter serves as an advisor to students in the RN-BSN track and mentors nursing faculty and minority nursing students. Dr. Carter served 28 years in the US Army Reserves- Army Nurse Corp and retired as a full bird colonel. Her experience includes serving as Principal Investigator and Co-Director of the Stanley S. Scott Cancer Center’s Partners in Health Program and serving as a member of interprofessional teams. Dr. Carter’s research interests are vulnerable populations of high school students, providing equal access of care to underserved populations, and breast cancer survivorship. She has presented her research on breast cancer at numerous local, national and international conferences and has co-authored five articles concerning breast cancer early detection and one concerning promoting critical thinking in the BSN student. Dr. Carter has been honored as one of the Great 100 Nurses in Louisiana. She has received many other honors and awards including: The Daisy Faculty Award, Sigma Theta Tau Epsilon Nu Chapter’s Care Award, The Jefferson Parish Unsung Heroine Award, three Armed Forces Global War on Terrorism medals, an Armed Forces Expeditionary Medal, an Army Superior Unit Award, an Armed Forces Humanitarian Service Medal, six Army Commendation medals, and five Army Achievement medals.